Holloman ruptured her membranes on February 7, 2009, and didn’t begin labor until February 10 at 1:45 AM. By waiting longer than 24 hours for her labor to begin after memebranes ruptured, Holloman and her midwife chose to accept a dramatically increased risk that the baby would develop a serious infection. Then they could no longer hear the baby’s heartbeat. By that point, the baby had been dead for hours. At her request, Holloman was put under general anesthesia so she wouldn’t be awake when the baby was pulled from her via C-section. When she awoke, she found out she had had a boy. They named him Emmet… After Holloman awoke, she pulled up the list [of family and friends] on her laptop and sent out an e-mail announcing the death of their son. … When Holloman was released from the hospital, she and her husband went home to the place their baby had died. “Everywhere I looked, all I could see was that I didn’t have my son,” says Beetz. Still, they rarely left the house, because venturing out was just as painful. Everywhere they went people asked for the baby. The lady at the bank, the people in the supermarket, visitors at the farm. They started doing their shopping a half an hour from home, where no one knew them. “It was the longest, saddest year of my life,” recalls Holloman. The official cause of Emmet’s death was infection with group B strep (GBS). Obstetricians routinely test women for the presence of GBS because it is the leading infectious cause of death of newborns. Women who are found to be positive for group B strep are routinely treated with antibiotics in labor, and, not surprisingly, cannot be allowed to wait hours after rupturing membranes for labor to start, since that further increases the risk that a deadly infection will develop. Homebirth midwife Deborah Allen never did a test for group B strep, failed to recommend hospital care when membranes had been ruptured more than 24 hours and ignored Holloman’s low grade fever and chills. In the wake of her baby’s death, Holloman evinces a touching faith that things would have been different had Deborah Allen been a licensed certified professional midwife (CPM). If only homebirth midwives were legal and regulated in Massachusetts, everything would have been different. Her faith is entirely unjustified. Within the past several months alone, two certified professional midwives in two different states presided over homebirth deaths. Rather than an investigation by local CPMs, both midwives were treated to fundraisers by their peers to pay the legal costs incurred by their arrests. Holloman has testified at the State House in support of the bill [that would license homebirth midwives] and has lobbied representatives directly. Two weeks after Holloman made one of these visits in late 2009, her neighbors … brought her some sad news. Their niece, who also resides in Massachusetts, had just lost her baby in a home birth. She had also been attended by a lay midwife. Holloman might be even less optimistic if she learned that the Midwives Alliance of North America the organization that represents CPMs KNOWS that homebirth with a CPM leads to preventable neonatal deaths. They have refused to release the death rates of the 23,000 planned homebirths in their database. Rather than investigating substandard care, they are actively hiding it. Holloman clings to the notion that it was not homebirth but rather the homebirth midwife that deserves the blame for Emmet’s death. There is no doubt that Holloman received substandard care, but substandard care is standard for homebirth midwives. 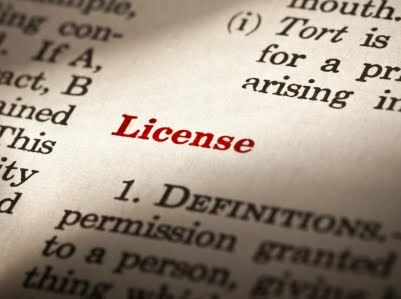 Homebirth midwives (CPMs) should not be licensed; they should be abolished. That’s what Canada has done, putting it in line with all other countries in the industrialized world. And nothing changes the fact that homebirth increases the risk of neonatal death. All the existing scientific evidence says so and all the state and national statistics confirm it. The only people who appear to be unaware of the dangers of homebirth are homebirth advocates themselves.